Vacation @ home on your 40 acre (M/L) private estate. 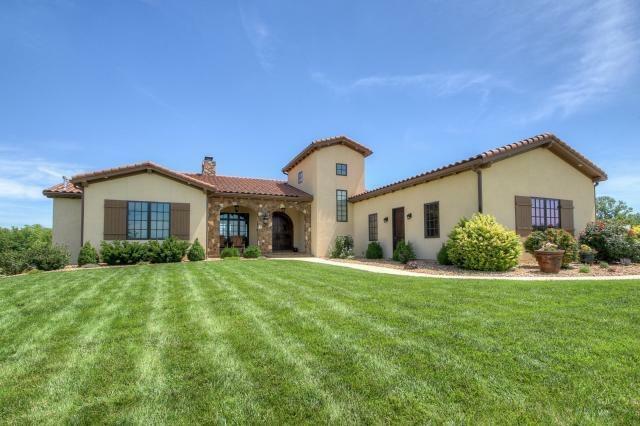 Custom built w/Spanish dÃ©cor & upgrades galore! Open plan w/beautiful 360 views. Vaulted great rm w/stone F/P, gourmet kit w/double ovens, 2 dishwashers, built-in steamer, fryer & coffee maker, hearth w/wet bar & pizza oven, main floor master & 2nd bdrm on 1st flr. Heated travertine tile in master bath, steam shower, towel warmer. Finished basement w/full bar, theater & wine cellar & guest suites. 72'x42' Morton building or âBarndiminiumâ w/30x30 guest house. Directions: Take KS-10 W to Church St in Eudora. Take the Church St exit from KS-10 W. Take the Church St exit toward E 2200 Rd/County Rd 1061. Turn left onto Church Street. Continue onto E. 2200 Rd. Turn left onto N. 700 Rd.